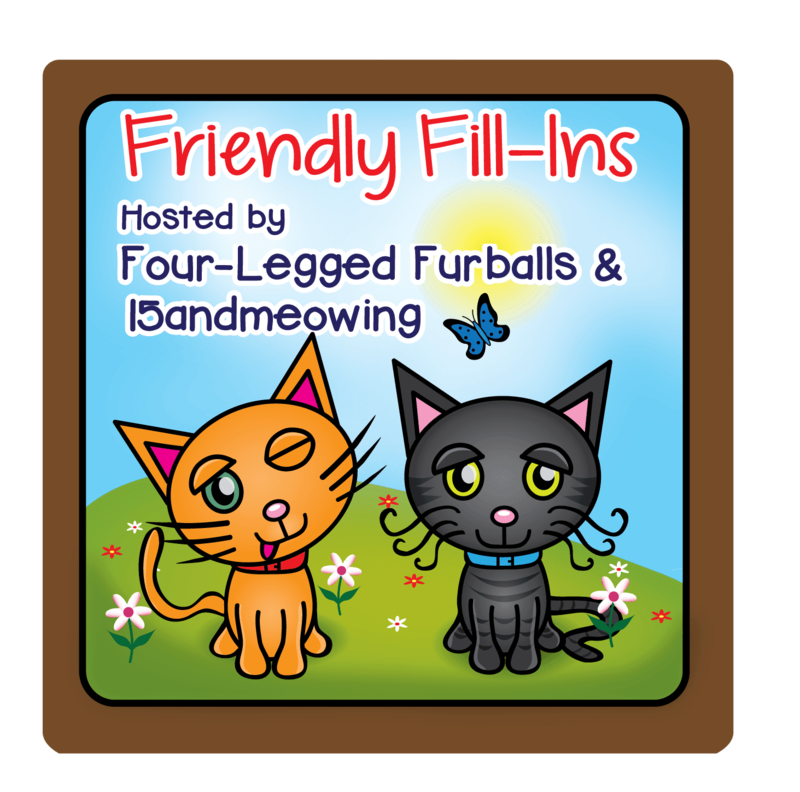 Friendly Fill-Ins with Four-Legged Furballs and 15andMeowing Click here to join or to see other entries. 1. My favorite font is _________. 2. October is perfect for _________. 2. October is perfect for snuggling with Mum. 3. Where I live, we have a woods nearby. It has always been my mum's dream to live near a forest. Now she has a beautiful view of the woods from her bedroom window where she does most of her writing. I hope this means she will be writing more books! 4. I feel very comfortable this time of year because it's not hot and it's not cold either. 1. My favourite font is anything that looks elegant and classic. 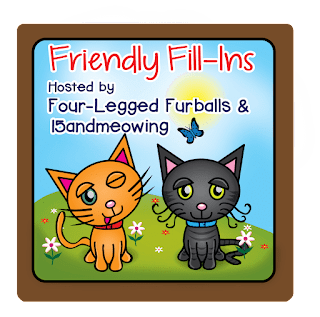 Great Vibes is a good one which I use for my Purrs Full of Love blog. 2. October is perfect for getting cosy. 3. Where I live, I at last have the peace and quiet I longed for and beautiful nature on our doorstep. I lived in North London all my life (decades) and really wanted to escape and now I have just done that! Essex is just beautiful. I hope it stays that way. 4. I feel very much more settled this time of year. I am not as stressed as I am in summer. I don't like summer at all. Autumn and winter are my favourite seasons. After Christmas, I start getting panicky about spring and summer. I suppose it's Summer SAD reversed. Beautiful selfie and great fill-ins! Athena! You have the most gorgeous eyes! And I LOVE your fill-ins. (Your Mum's too) and I do like October, I just wish it was not so rainy. Athena you look gorgeous! I am like Mom, I would love to live in a forest too! That is a lovely selfie with your big beautiful eyes. Athena, you always look lovely in your selfies. 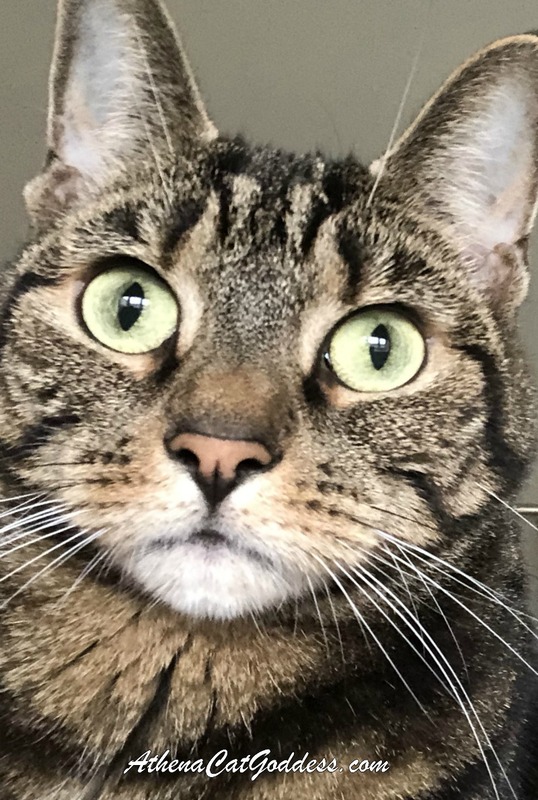 We always love you and Mum's answers, Athena, and your selfie is just purrfect! What big eyes you have, Athena! You are a beautiful lady. I am so glad you have a loving home with your special mum! Another awesome selfie! You have gorgeous green eyes just like my Bear Cat! I know you're a blotched tabby and Bear's a mackerel tabby - but just that head shot is almost identical! You have a bit more expressiveness in your face.